We carved pumpkins with the boy this weekend. We were left with a work of art and a pile of icky, seedy goo. Did you just throw yours in the garbage? Not us Pinkeltons. 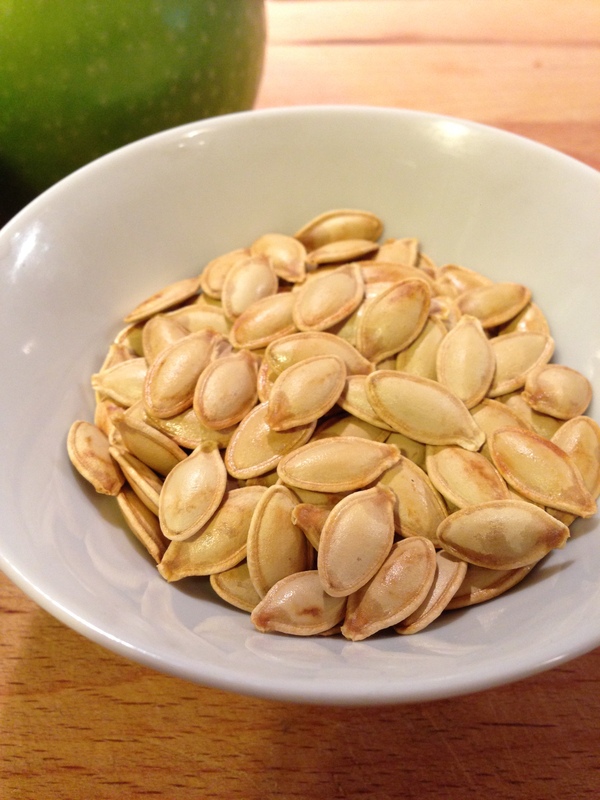 The husband grabbed the pot full of goo and prepared these tasty roasted pumpkin seeds. The quick and easy recipe which boiled the seeds in salt water to lock in the flavor, can be found here.